PT 7520, Jalan TS 2/9A, Taman Semarak Light Industrial Park, 71800 Nilai, Negeri Sembilan, Malaysia. 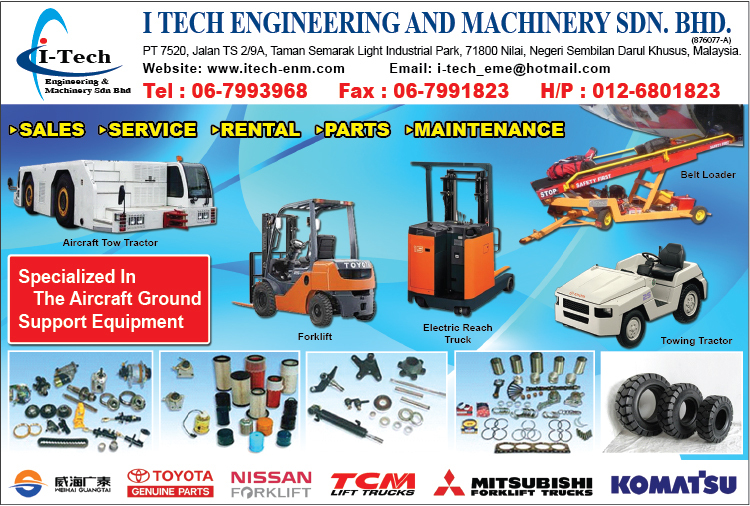 I Tech Engineering Machinery Sdn.Bhd., formerly known as I Tech Engineering and Machinery Equipment, was incorporated in April 2006 specializing in sales, servicing and maintenance of all ranges of Ground Support Equipment. 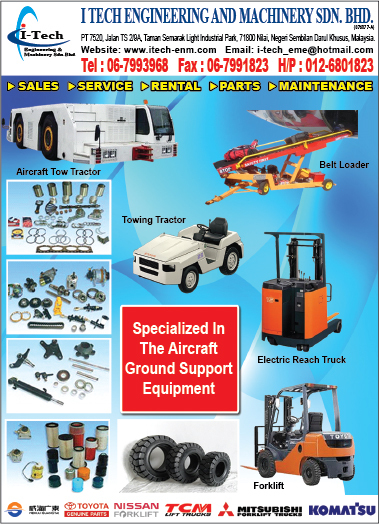 In January 2007, I Tech Engineering Machinery Sdn.Bhd., had signed a Spare Part Supply and Repairing agreement with AirAsiaBerhad, under which I-Tech will supply necessary spare part and provide service & maintenance for the Ground Support Equipment Unit, while allows AirAsiaBerhad to focus on the effective use of Ground Support Equipment to achieve maximum competitiveness.